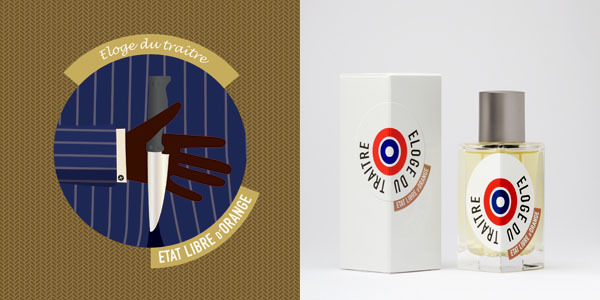 Etat Libre d'Orange, the company that makes Eloge du Traitre ("Traitor's Eulogy" in French), seems to take pride in releasing what they consider to be daring and controversial fragrances. Eloge du Traitre, by contrast, is not particularly daring. 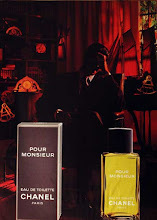 It's in an old-school, 70's aromatic fougere style that has been done many times before, but never quite been done this well. 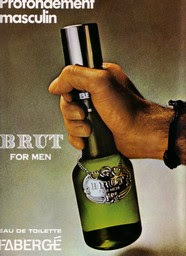 I guess the fact that I love this scent but don't like a lot of their other perfumes makes me an old fart, taste-wise. This is an incredible fragrance. First of all, it's totally in the style I like: a fougere that is strong, herbal, dry and, best of all, chock full of great pine notes! 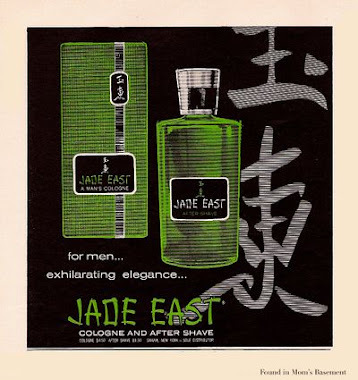 I'm always in search of a great pine scent, and Eloge du Traitre satisfies like few others do. You get a brisk, invigorating blast of green herbs and pine needles when it first hits your skin. I love it! What's more, I can smell pine for several hours and into the drydown. The great green herbal notes also manage to hang on as well. The drydown enters old-school territory, with heavy hitters like leather, moss and patchouli, but thankfully they never overpower the pine and dry herbs. This is a perfectly blended scent! The leather serves to give the scent a kind of brownish hue, and it provides warmth to the whole fragrance without weighing it down. 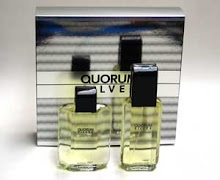 For the experienced perfume aficionado reading this, I will tell you that this fragrance smells very much like Guerlain's Derby (which is not a bad thing), with a little bit of Yatagan and Polo thrown in the mix. I think this is even better than Derby because it's better balanced. Though I like Derby, it has a dry, annoying woody note that sticks out like a splinter, and throws the scent a bit out of whack. Eloge smells like Derby with that annoying wood note removed, and an injection of pine put in its place. What's amazing is how Eloge du Traitre is both powerful and outdoorsy in smell. It smells extremely green and resinous, like pine sap in an herb garden. 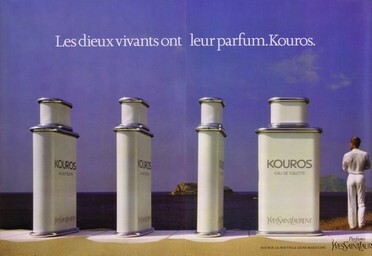 It has a wonderful foresty smell that I get in very few other fragrances. I cannot praise this fragrance highly enough. It gets a perfect score in my book, A+.